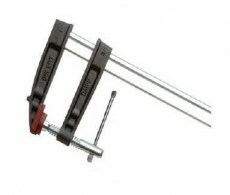 High efficiency, hydraulically assisted powerful clamping. Fully sealed ram. 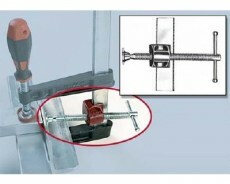 Clamp actuator lever rotates a full 360 degrees. Spanish made. See below for full table of sizes and specifications. 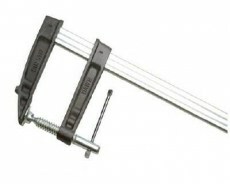 High efficiency, lever assisted clamping with ratchet stops and trigger style release. Powerful clamping. Spanish made. See below for full table of sizes and specifications. 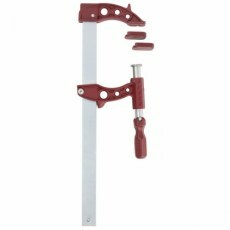 DAWN - German made with superior square section acme thread, swivel pad, galvanised spindle, soft jaw pads and rated to 5000n clamping pressure. Plastic handle adjustment. DAWN - German made with superior square section acme thread, swivel pad, heavy gauge black oxide treated spindle and rated to 7000n clamping pressure. Tommy bar adjustment. 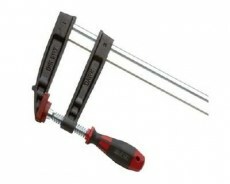 Allows lateral clamping when used with Dawn clamps. JORGENSEN - One of the classics from Jorgensen. 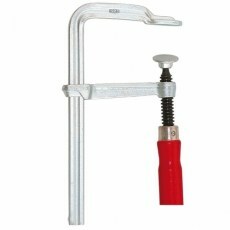 Orange baked enamel finish and 1000 lbs load, acme (square section) thread hardwood handle.